If you feel like exams have drained you of all motivation and the thought of the semester ahead fills you with dread, why not take up something new during refreshers week? There are lots of societies to get involved in — it would be a shame not to experience a few during your degree, which is exactly what I’ve done during the past four years. 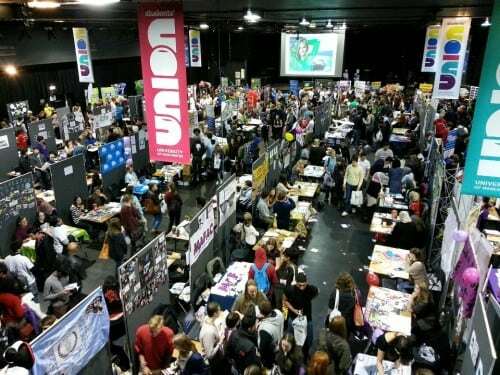 It all began as a bright-eyed first-year browsing the stalls at my first ever freshers fair. The choice of activities was mind-blowing, and at the end of the week my tiny bedroom in halls was full of flyers of everything from Blogging Society to Extreme Picnicking Society; I couldn’t wait to get stuck in. So, I took up the opportunity of a taster session with the Scuba Diving Society. There I was, full of fresher’s flu, bobbing around in the aquatics centre. I never quite got the gas levels right, which sent me either straight to the bottom of the pool or floating at the surface. Safe to say, scuba diving wasn’t for me, although the taster session was a fun experience and gave me a funny story to tell. Fast forward to second year and it was time to try another new activity. The stall which lured me in that year was Latin and Ballroom Society (the dazzling sequins, the glamour, the thought of meeting my own Patrick Swayze!). The taster session went well, and before I knew it, I was a fully fledged member, attending dance classes every week. I learnt how to Waltz and Foxtrot and met some lovely people, one time even practising a routine in an empty SU bar. It was fun, different, and a great stress-release when work all got too much. I did lose interest as work became harder during semester two, but it was good while it lasted. After a year abroad, I came back to the freshers fair with a new found enthusiasm. This was it, the final year, last chance saloon. It was time to get physical. I sought out Squash Society, something which had eluded me in previous years. I went along to the sessions each week and it wasn’t easy — they like to work you hard. It felt good to be playing a sport rather then being cooped up in a gym, although I did have to employ a ‘This Girl Can’ attitude when faced with a court dominated by guys. It’s not always easy to drag yourself away from a night at the pub with your housemates, but it does feel good to get out and do something different. Refresh yourself this semester and try something new.